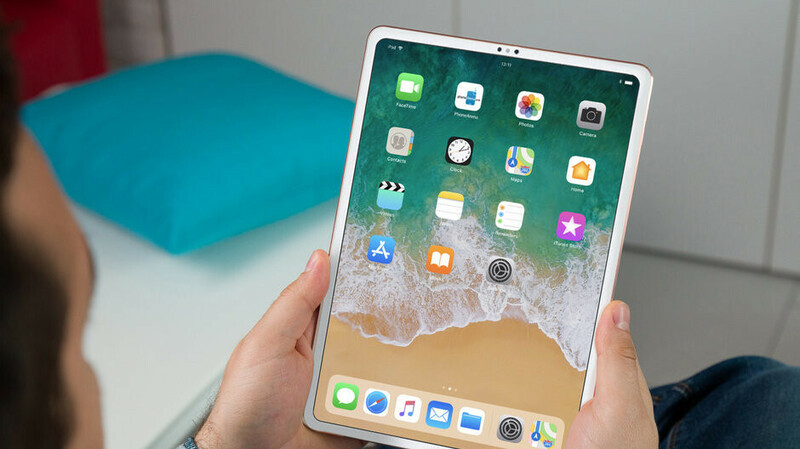 Apple is gearing up to obliterate the global tablet competition yet again in just a couple of weeks, but somewhat surprisingly, rumors are piling up about an uncharacteristic move to a universally embraced industry standard from a proprietary Cupertino technology for the iPad Pro family. We’re talking a possible replacement of the Lightning port introduced back in September 2012 with a more flexible, faster USB-C connector. This is something Microsoft has also been resisting on the Surface Pro lineup, which uses its own special Surface Connect port. It’s certainly unusual to see Apple open its hardware up to third-party accessory makers, but it’s precisely these companies that are widely expecting the change. Speaking to Japanese blog Macotakara at the ongoing Global Sources Mobile Electronics Trade Fair in Hong Kong, several sources have “confirmed” the addition of a USB Type-C port to the next iPad Pro generation, quoting their own industry insiders. Among other meaningful upgrades, this would enable support for external 4K displays like high-quality monitors, bringing the new 10.5 and 12.9-inch iPad Pros closer to the raw power and technical capabilities of full-fledged computers. Speaking of size, it seems the aforementioned accessories manufacturers are building cases and other products for the 2018 iPad Pro family based on sketches circulating on the interwebs for a little while now. Said blueprints are anticipating 280.66 x 215 mm dimensions for the larger new variant and 247.64 x 178.52 mm measurements as far as the smaller model is concerned. Naturally, all these numbers are lower than those of the 2017 iPad Pro generation, hinting at significantly slimmer bezels all around. Probably no notch, though. Gonna pick up the 11”. I wish Apple would use USB-C with iPhones. As an Apple user, there's nothing inherently wrong with lightning, but Lightning is inconvenient if you have to deal with USB-C accessories. USB-C is the future. The problem I see with USB-C is durability. They’re more prone to being smashed and bent out of shape than micro USB. USB-C is by far the worst design so far, they should have just stuck with the most durable USB plug, the Mini USB. I'd rather have a reversible connector to be honest, its very annoying trying to guess which side to put the connector in when you can't see. USB-C is the future. Really? Micro-USB breaks really easily from my experiences with Kindles. Also, Mini USB is obsolete and you can't use Superspeed with it.